In this study, your preteens and young teens will study all four Gospels in a way they never have before! Sure, they know about Jesus’ miraculous birth, his miracles and life, and his death and resurrection. But they are now old enough to explore the story of Christ through the eyes of the Gospel writers—by comparing, contrasting, and examining Matthew, Mark, Luke, and John. They will learn awesome Bible study skills while also seeing the life and ministry of Jesus come alive through these eyewitnesses and disciples of Christ. Click here to see 13-lesson overview (master plan). Most important, we pray that through this study they will come to a greater love for our Savior and the work of redemption he provided through his sacrifice. 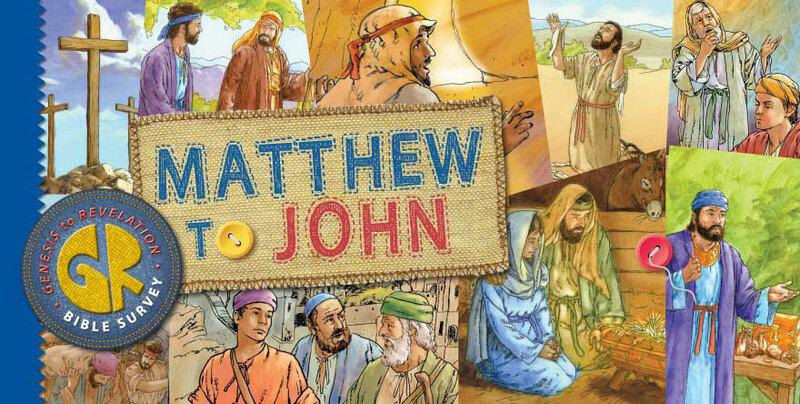 Each lesson in this study also does something crucial for your kids: It ties each event to God’s redemptive promise and plan to redeem a people for himself by sending the Messiah, Jesus Christ. The Bible is God’s story of salvation through Christ, who is the focal point of all Scripture.